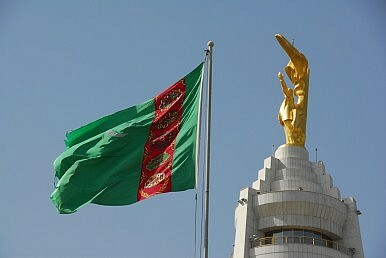 Turkmenistan’s 2016 has brought an apparently endless series of high-level shifts, scoldings, and sackings. President Gurbanguly Berdimuhamedov’s moves, coming on the backs of arguably the greatest economic pinch he’s known in his decade-long rule, have seemed largely superficial, aimed less at searching for adequate replacements and more at looking for some mixture of elite consolidation and redirected blame. As The Diplomat’s Bradley Jardine noted in February, the past year has seen the implementation of a wholesale “Turkmen shuffle.” Seven months on, that trend has continued, largely unabated. Now, we can point to a broadening of Ashgabat’s cabinet-level shifts. Last week, as the AP reported, the government elected to scrap both the Ministry of Oil and Gas and State Agency For Managing Hydrocarbon Resources wholesale. As AP summed, local reports “said the move [was] aimed at improving management” of the hydrocarbon sector. To be sure, the unpaid furloughs aren’t necessarily surprising. Turkmenistan’s domestic economics have been rattled by both the hydrocarbon crunch and continued issues with exports to both China and Russia — to say nothing of the myriad issues surrounding the country’s planned, and seemingly stillborn, pipelines to India and Azerbaijan. But shuttering an entire ministry is qualitatively different than sacking a simple minister and is a “critically important development,” said Luca Anceschi, a lecturer in Central Asian Studies at the University of Glasgow, via email. Likewise, the move may yet stem from reasons different than those assumed for the prior, individual firings. As Jardine noted, too, the prior, individual firings may not have stemmed solely from a need to scapegoat. Instead, they may have also come from “an underlying recognition of the unsustainability of bureaucratic incompetence.” Time will tell whether or not this recognition plays out. In the interim, though, it’s clear that Ashgabat’s willingness to expand its readjustments shows no signs of slowing – with the fallout only continuing to increase as the year goes along.